Since 1939, Gospel Recordings has been using recorded message to communicate God's truths, even in areas where there is no missionary activity. The goal of Gospel Recordings Network (ARM) is to give ALL languages audiocassette that clearly explain the way of salvation in a simple and culturally relevant form. The cassette tape is a great way to tell people of Christ and an excellent teaching tool for church planting. GRN (ARM) has made Audio Gospel message in over 6000 language and tongues. In order to provide the message in ALL of the world's languages, recordings are still needed in at least 4,000 more languages and dialects. Gospel recordings started in Los Angeles, now has grown up an international recording ministry for the Unreached People in 30 countries. In Korea, ARM (Audio Recordings Mission) is working, as a member of Global Recordings Network (GRN). 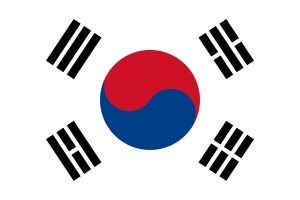 Click here to find languages spoken and recordings available in Korea.